The time that has passed since the last post in this space is utterly, terrifyingly, digustingly lamentable. There's a crazy pile of excuses I can validly make, including blogging actively for the Beanstalk Foundation and moving. Still, it's time we get back to it. So, in returning to GLMedia, let's talk about a piece of modern day nostalgia. In the school of Raphael Saadiq, Jamie Lidell and Mayer Hawthorne, a school predicated by musical appreciation of the past. This movement, I call it that because it extends across generations, is unique in that it changes incredibly every day while remaining the same. Lidell's soul crooning takes on a campy, sweet, but realistic vibe. Hawthorne injects a certain world-weary brutality into his aspect of this new-retro-rock-soul. Saadiq maintains the poppy fun of the style while bringing listeners to tears with stories of epic betrayal. 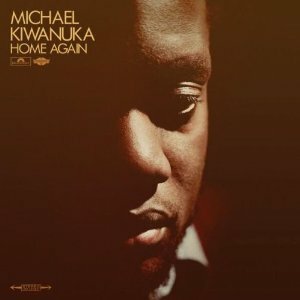 And now, Michael Kiwanuka arrives on the scene with his debut album Home Again. Kiwanuka actually came to my ears via my pal Max during the end of last summer, when the artist had only a handful of EPs and sundry tracks and covers. And although this album is now two months old, it's definitely to be considered one of the MUST LISTEN albums of 2012. See, Kiwanuka's approach to the new nostalgia is folksy, intricate, elaborate and lush. He is Bill Withers and Otis Redding gifted with incredible production and access to what feels at times like an infinite selection of backing players. Horns, strings, keys, guitar, drums... name an instrument and Kiwanuka puts it to exceptional use. There are waves of sound, giant Perfect Storm-style walls that roll and crash and splash over each and every track. And all the while, Kiwanuka's voice beautifully rolls out lines and phrases, like velvet wrapped in silk over a seal. (No, not Seal. A seal.) If you miss this album, you'll kick yourself. And it's on Spotify, so, c'mon.